Parrot Bebop 2 the famous drone of Parrot and the revolution of the Bebop 1. As you know, the Bebop 2 is one of the best drone in market in 2016 and 2017 it is like Dji Drone and Yuneec Drone. Some people will say "If this drone if very famous why you don’t add it in TOP 5 BEST CAMERA DRONE FOR FILMING IN 2017", the answer is very simple because parrot Bebop doesn't have the same quality of camera like Dji and Yuneec but in the other hand Parrot have other drone with high quality camera maybe I will place him for the place 6 of the best drone camera in 2017. 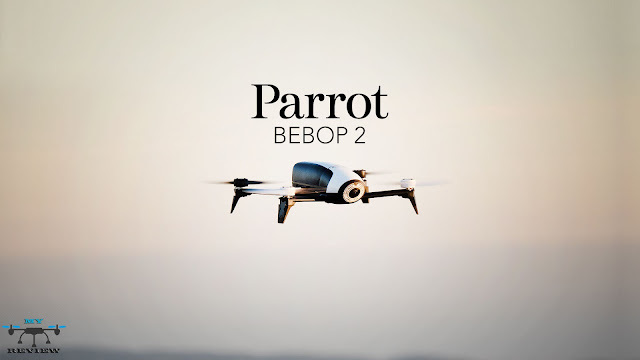 Now let us forget all that, firstly we will see together the introducing of Parrot Bebop 2 for people who don't have any ideas about this famous drone! First of all why i love this drone of Parrot. Firstly i love her amazing smart features and secondly the price of this drone we will see together in conclusion! About features and specs of this drone it's the same of Dji Phantom 4 of Dji company. You can read the review of the Dji Phantom 4 : ↦↦DJI PHANTOM 4 FULL REVIEW - MY DRONE REVIEW↤↤ but for lazy people we will repeat the features here 😅😅. 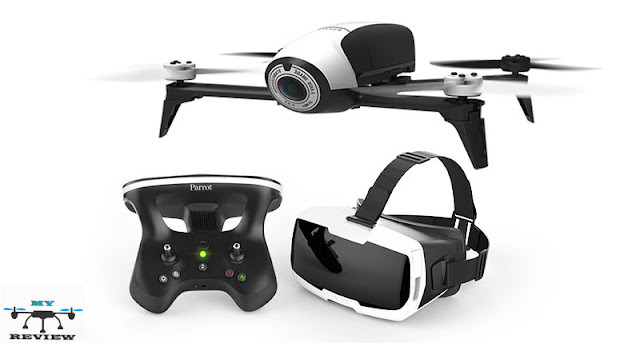 One of amazing features I like in Parrot Bebop 2 it is VR BOX for more information about Bebop 2 + VR you can see this video! About battery life of Parrot Bebop 2 it's 25min with an ultra-lightweight model to take you even further. 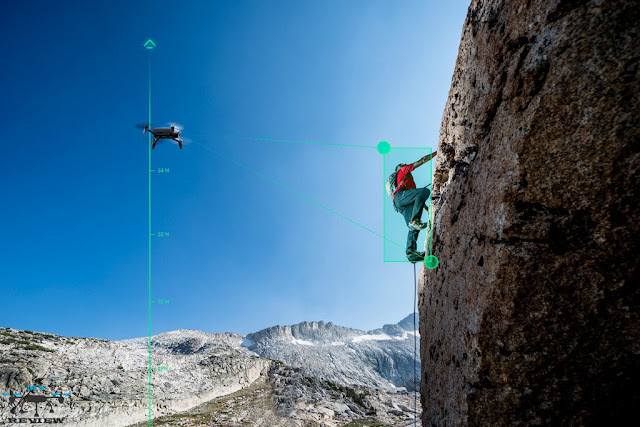 It is the same features in Dji Drone how you can capture your best moments from the sky with high precision. With the follow me feature, capture your best moments with high precision thanks to the use of advanced visual recognition technology and the gps tracking system on your smartphone. cycling, running, rowing, climbing… everything is possible! Leave your smartphone in your pocket and let your drone film you in your everyday activities with complete autonomy. The "follow me - gps & visual tracking" feature is available as an in-app purchase in your free flight pro application. Free Flight Pro is an app dedicated to advanced flight with drones. The interface was designed for you to use with FPV glasses and enjoy total immersion. All your routes, photos, films and data are saved. You can find them easily and share your feats on YouTube. About camera of PARROT Bebop 2 is 14-megapixel with capture video FULL HD 1080p. 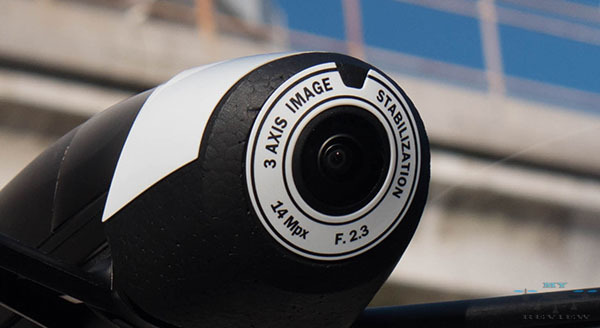 Offering horizontal and vertical 180° pictures, it is easy to take aerial photos without losing quality. For professional results, simply choose RAW or DNG from the three formats available. Parrot Bebop 2 Review The Best Drone With The Best Price, it's came with lot of features it's the same with Dji Phantom 4 and amazing price it's $549.99 without accessories and $699.00 with full accessories. My Drone Review recommend for their viewer to buy all time a drone with full accessories because there are helpful. "Buy Parrot Bebop 2 without accessories (-20%): ⇉⇉ Here ⇇⇇"
"Buy Parrot Bebop 2 full accessories (-20%): ⇉⇉ Here ⇇⇇"
Provided that this is true, getting a best rc drones fit for an apprentice is all you have to begin, so you won't have to spend more than 200 dollars. Such an amazing blog about the multicopter and I really appreciate you work which you have done well.